February is the month of romance, and for the next stop in our Mystery BOM, Pat is taking us to one of the most romantic locations in the world, Venice! This month's block was inspired by the beautiful, slender gondolas that ply the waterways of that fair city. For our second city in Globetrotting we travel to Venice Italy. I've traveled around the world, but have yet to visit Italy. I do work with Aurifil thread that is an Italian thread company, and I'm working on learning a bit of Italian .. like wool thread is Lana! Fun right? Scroll down to watch my video about the block! 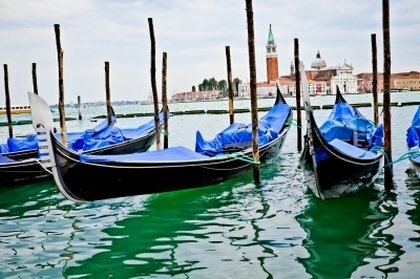 When I looked at beautiful photos of Venice I came back time and again to the Gondolas. I love water, and boats. These slender boats are just so beautiful. Their shape inspired my Venice block. Visit my blog to learn more about the creation of my second block in Globetrotting, Venice Italy. I highly recommend that with dark/light quilts you prewash your fabric. I don't want any tears later when you wash that quilt and it runs blue onto white ..eep! The step of prewashing can be done quickly and then you are ready to rock and roll. 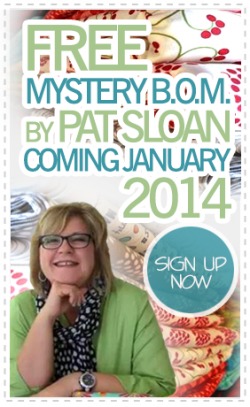 Haven't signed up yet for the BOM? Click here for more info! 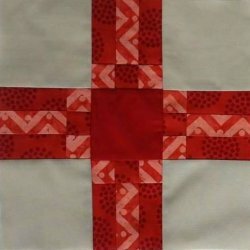 Download BOM Materials List and Block Two Pattern! Click Here to download the PDF of the pattern for Block Two: Venice, Italy.